In the past few years, we have seen an increase in the demand for R – both from employers looking for skilled R-users and professionals looking to further improve their skills. Due to this supply and demand gap, there have been various teaching channels created in an attempt to extend knowledge of the language. Even with the abundance of R teaching material, we still face a dearth of qualified, skilled R users. The inability to differentiate self-taught data scientists from qualified personnel creates confusion for employers and difficulties for quality professionals to separate themselves from the rest. R Consortium started a working group that has identified an absence of a system to certify qualified R professionals as a cause for this problem. As a response to this, the group is working to create a certification for R that will allow professionals and students to acquire fundamental skills and knowledge of the language. Creation of this certification also aims to help recruiters identify and assess the skills of potential recruits. This group will be driven by the needs of the current R professionals and data science recruiters. More information about this initiative can be found here. In order for this working group to create a valuable certification, we encourage community feedback in this initiative. 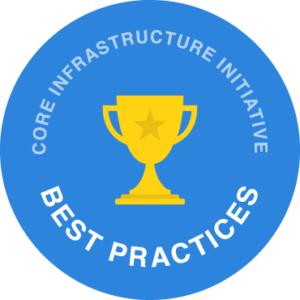 Your feedback will help the working group to evolve this certification to best serve the needs of the R community. Please respond to this survey to help in the creation of this certification. End of August here in North America means summer is winding down, kids are headed back to school, and the annual Open Source Summit hosted by the Linux Foundation is happening. For those not familiar with the event, Open Source Summit North America is the leading conference for developers, architects and other technologists – as well as open source community and industry leaders – to collaborate, share information, learn about the latest technologies and gain a competitive advantage by using innovative open solutions. Open Source Summit, being held this year in Vancouver from August 29th – 31st, 2018, connects the open source ecosystem under one roof. It covers cornerstone open source technologies; helps ecosystem leaders to navigate open source transformation with the Diversity Empowerment Summit and tracks on business and compliance; and delves into the newest technologies and latest trends touching open source, including networking, cloud-native, edge computing, AI and much more. It is an extraordinary opportunity for cross-pollination between the developers, sysadmins, DevOps professionals and IT architects driving the future of technology. R-Ladies is a community sponsor, and will be giving a BOF talk entitled ‘Inclusion, Diversity, and Community: the R–Ladies initiative’, with Gabriela de Queiroz and Augustina Ragwitz showcasing the work they are doing. R-Ladies will also have a table in the expo hall where you can meet and learn how to get an R-Ladies chapter going locally. John Mertic will be presenting on ‘Sustainable Community Investment in Action – A Look at Some of the R Consortium Funded Grant Projects and Working Groups‘, giving insight on how the R Consortium Funded Projects program and Working Groups are bringing together the R community and ensuring it’s sustainability. Come meet us at the event this August! You can use registration code OSSNA18COM15 to save 15% on your registration costs.